This year we are advertising early for the ever so popular AIR FESTIVAL VIP TABLE PACKAGE at Key West. 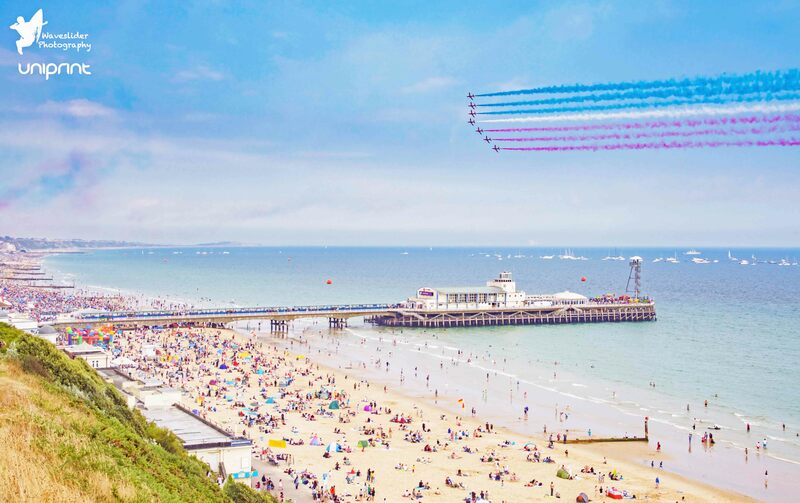 We are offering you a prime location for the day on our enclosed, large sun terrace on the end of Bournemouth Pier which will ensure you don’t miss out on any of the flying action! £50 credit per person to spend on food & drink from the Key West menu. A glass of champagne on arrival plus olives and breads for table. A reserved table on our large sun terrace at the end of Bournemouth Pier. Table reserved all day from 10am. REGISTER YOUR INTEREST FOR 2019 NOW! Cancellations may be made up to 2 weeks in advance. A refund of £50pp food and beverage credit will be made. £25pp cover charge is non-refundable. Confirm group numbers at time of booking (should you require additional places please contact us immediately). Any booking under 4 persons may be required to share a table with another party. Arrival from 10am – Midday. We recommend arriving early as the flight display usually starts at midday. Should you be arriving later please advise us. Booked tables are only reserved on the outside terrace. We advise you not to leave your reserved table at any point for more than an hour at any point. If you wish to vacate your table and return at a later time, please notify your host immediately. We will try our best to keep your table reserved for you during your time of absence however we cannot guarantee this. On arrival you will be asked for one credit card which will be stored behind our bar in a secure folder. In return you will receive a bar tab cards which will give you access to your credit per person. At the end of your visit, we will return your credit card and give you one invoice for any extra purchases made above your credit limit. We are happy to accept multiple payments, however we cannot split the invoice for you. There is no refund if your credit limit is not spent. If for an unfortunate reason the Bournemouth Air Festival were to cancel, Key West would honour your £50pp Food and Beverage credit, in the form of a Key West gift voucher to be spent before 31st December 2019. Confirmation must be forwarded to each member in the group or family. This will need to be presented at the Pier entrance to avoid pier toll on your day of arrival. Free for children under 5 years old. £25 for children aged 5-12 years old, no food and drink credit included. Full payment must be received by 1 April 2019.